The X-Trail is a big deal for Nissan, the brand's best-selling model worldwide. Here, we're looking at a smartly updated version of the third generation model which continues to offer space for up to seven, a high quality interior and some seriously smart technology under the skin. This now includes Nissan's clever ProPILOT safety system which introduces semi-autonomous driving capability to this SUV for the first time. 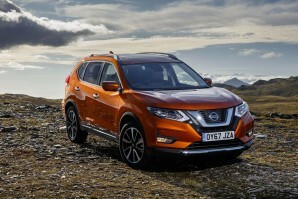 As before, there's a robust engine range and reasonable off road capability if you want it in a model line positioned just above the popular Qashqai, offering Crossover aesthetics with proper SUV mechanicals.